Those seeking treatment for varicose veins are usually most worried about the appearance of these unattractive veins on their legs. But as most doctors know, the real concern to these patients lie in the health of the veins inside their legs. 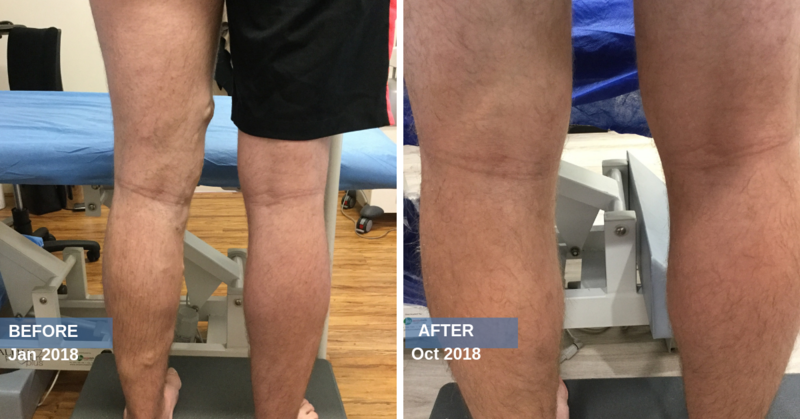 Left untreated, varicose veins do not only continue to be unsightly and painful but may also progress to be become more painful and develop to become a medical risk. You can view more patient outcomes here. Healthy veins are models of efficiency and good design. The cells that form the interior walls of these blood vessels align themselves in an orderly fashion, creating a surface that is smooth and allowing the free passage of blood. This is important, because unlike arteries, veins don’t have as many interior muscles that pump the blood. The pumping action comes from the contraction of nearby muscles. For it to work properly, the vein walls have to be smooth, so the blood passes through them easily. In addition, the flow of blood through healthy veins goes in the right direction because the veins contain tiny valves. They open to allow the blood to pass through on its way to the heart, and then close afterwards to keep it from flowing back in. The interior vein walls become less smooth, — disordered and inflamed therefore – less able to allow blood to pass through efficiently. 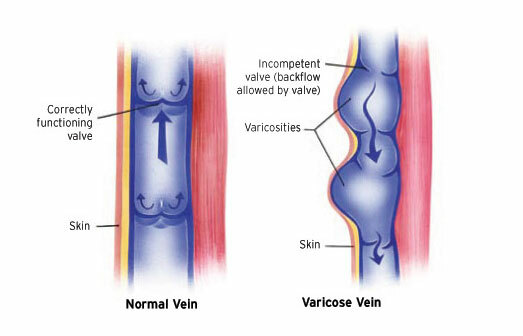 The venous valves (gates) that allow blood to flow back into the veins become dysfunctional and no longer close properly. When left untreated, CVD progresses and causes inflammation to the vein walls which could lead to serious health problems. Doctors believe that inflammation plays a strong part in why the cell walls of varicose veins become as disordered, chaotic, and inefficient as they do. But the most important fact to take away from this article is that the condition propagates itself, and becomes worse over time. Slower blood flow is the most common cause of venous inflammation. So the longer the cell walls of varicose veins remain untreated, the more inflamed they become. Treatment is the best way to reduce the symptoms and risks related to varicose veins. Every case is different, so we tailor our treatments to your unique case. Because varicose veins are a medical concern, it is important to discuss your symptoms with a doctor. This is as simple as scheduling a venous health screening at The Vein Institute. 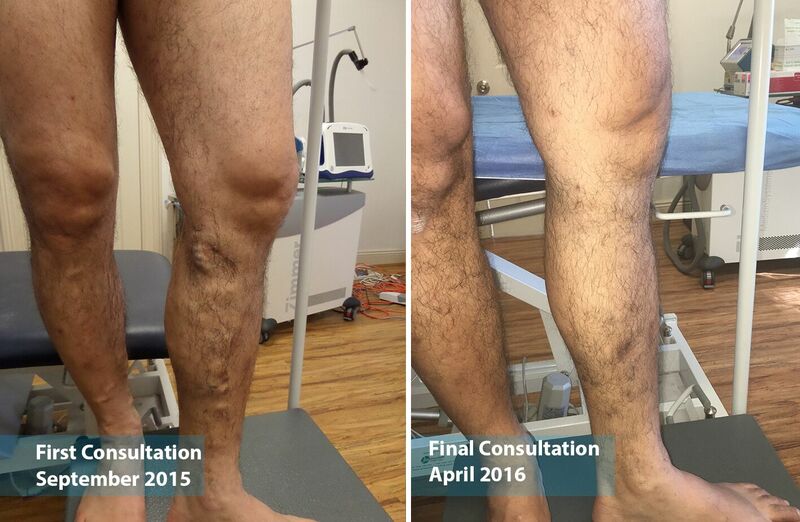 We will perform a medical examination using state-of-the-art venous duplex ultrasound, and can tell you in a few minutes whether the swelling is caused by your varicose veins or not. If it is, our experts can tell you what the different treatment options are, and help you to select the ones best suited to you. To schedule an initial consult, you may book a time for us to ring you back here.